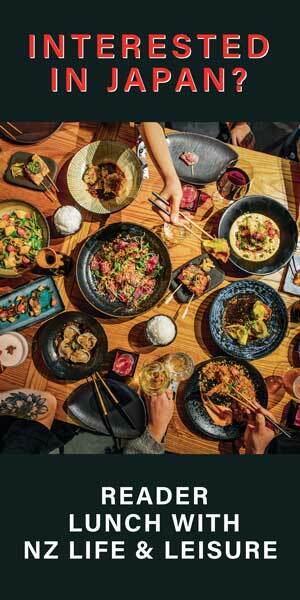 Yolanta gives ‘Chicken Scream’ a go. 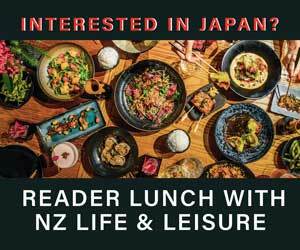 from This NZ Life on Vimeo. 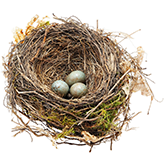 Do you have children coming to stay for Easter? Do your family get-togethers involve playing games over a glass of wine? Here’s a little something for the easily entertained. 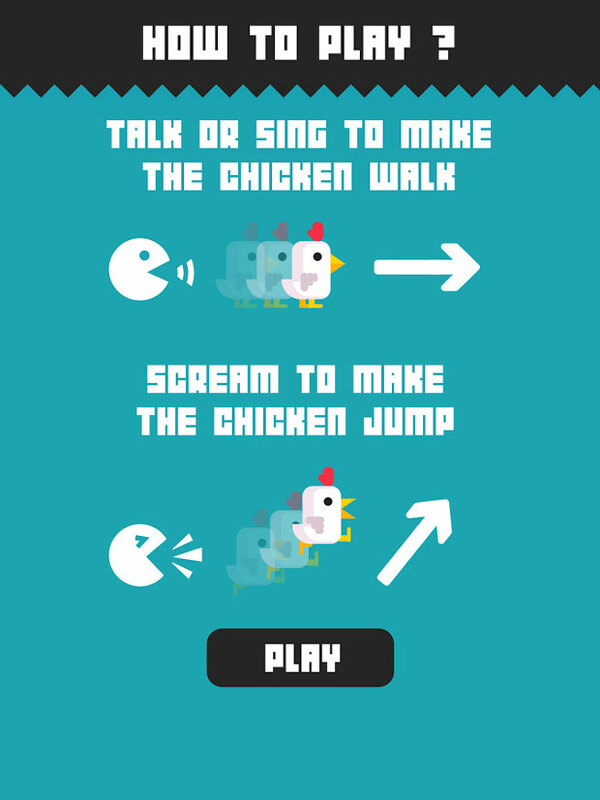 Chicken Scream is a simple game that you can download onto your phone. 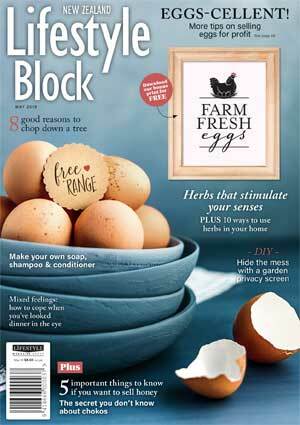 The basic premises is: use your voice to move a chicken through a series of jumps. A soft noise moves the chicken gently forward, a loud noise will propel the chicken over a jump and to safety. Fail to make enough noise and the poor wee chicken faces a watery death. It’s Easter – nobody wants that. Chicken Scream works best when you cluck and squawk like a small chicken about to lay a moa-sized egg. The louder the better, and the more dramatic, the funnier it is. We tested this game out in the office and once the initial embarrassment fades, it’s a whole lot of fun. Be prepared to lose your phone to grandchildren, nieces and nephews, and fully-grown adults who just need a bit of a laugh. What’s a long weekend for if not to spend time yelling at cartoon poultry with loved ones? Chicken Scream is available for download through the iTunes App Store and Google Play on Android. It’s free, but would be worth every penny if it wasn’t. 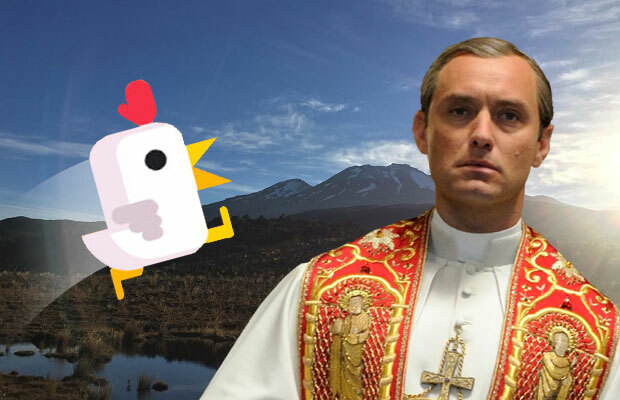 If Cyclone Cook finds you trapped inside, The Young Pope is divinely entertaining binge TV for the Easter weekend. 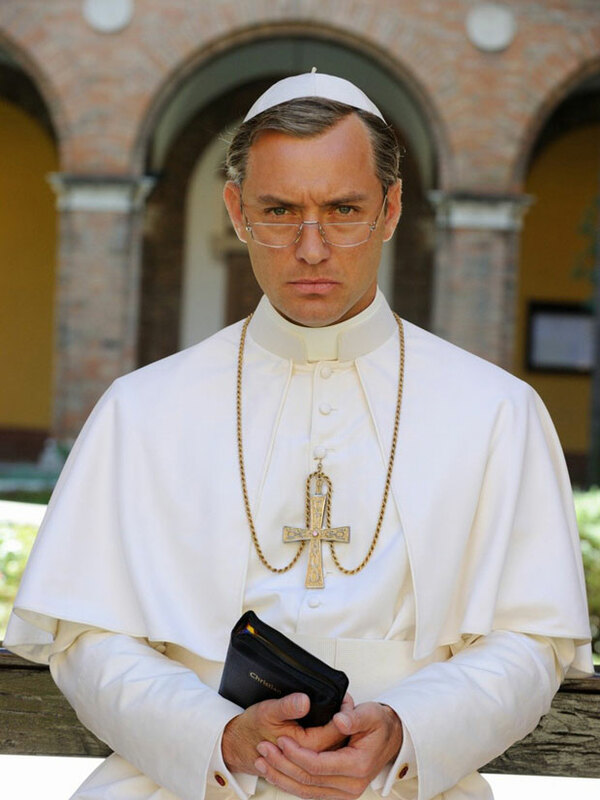 Jude Law plays Pius XIII aka Lenny Belardo, the first American pope in history. Young and well-mannered Lenny is perceived by the College of Cardinals to be a safe bet as the head of the Catholic church. But upon his election he reveals his controversial ideas. Lenny is a mysterious figure, an orphan abandoned by his hippy parents. He smokes, he drinks cherry coke zero and, despite his good looks, never wishes to reveal his face in public. Then there’s the question of whether he has actually has divine powers. His childhood carer Sister Mary (Diane Keaton) believes he is a saint. 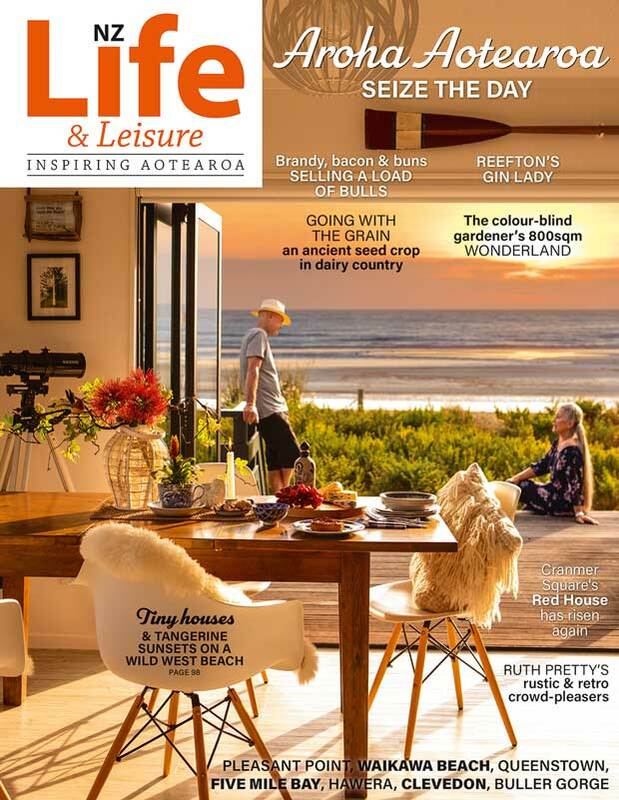 This show first screened at the end of last year but its release was somewhat overshadowed by the election of another controversial world leader. In fact, a few commentators have noted the eerie parallels to the Trump administration. Academy Award-winner Paolo Sorrentino (The Great Beauty) created and directed the show. 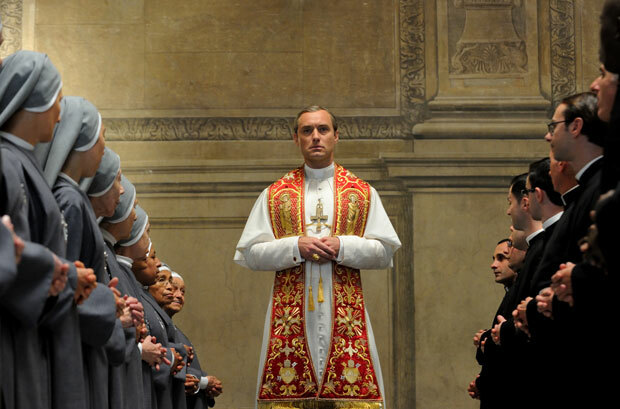 It’s well-crafted television – think House of Cards at the Vatican with a dash of MTV. Catch it on Neon, Sky’s video on-demand service. This photo is the mid-point of the Waitonga Falls track, a 15-minute drive from Ohakune. By this point, my legs were screaming and I was debating taking a seat and drinking in the gorgeous view for a bit while the energiser bunnies I was walking with carried on. 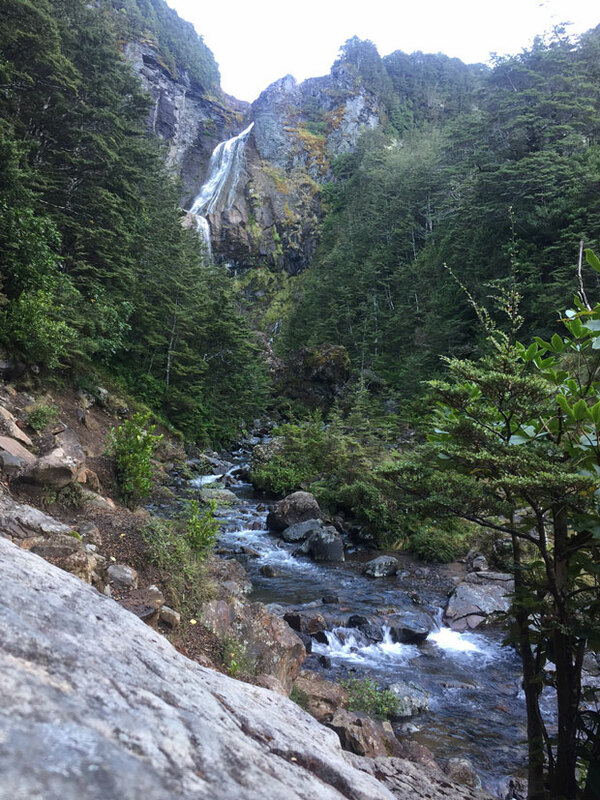 I was persuaded to continue despite their logic – “It’s downhill to the falls” – which only said to me and my screaming thighs that it was uphill all the way back. The falls are 39m high and surrounded by gorgeous native beech, mistletoe and orchids, depending on how close you want to get your face into moss. 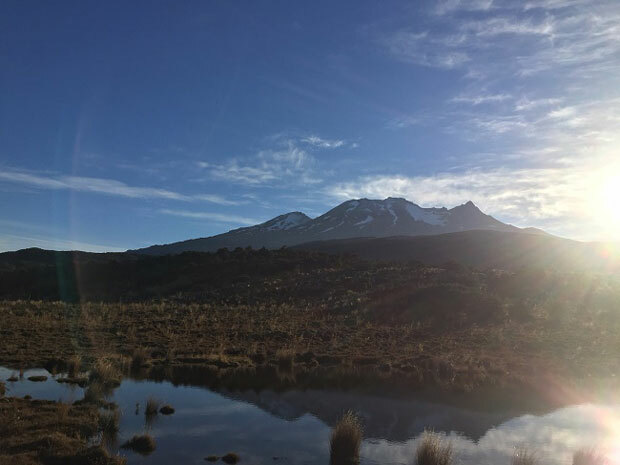 But all of it is dominated by magnificent Mt Ruapehu. It’s a mountain that ruled my life for quite some when I worked in TV news. I had the privilege of being one of the first people to see this footage when it arrived in our office a couple of hours after the 1995 eruption. Back then, it was a quiet Sunday evening and I was the only staff member at work. A couple of diehard newsroom staff dashed in and we waited for a physical video tape to arrive in the office. It seems so oddly quaint now. While I love this beauty, I hope she stays sleeping for a long time. 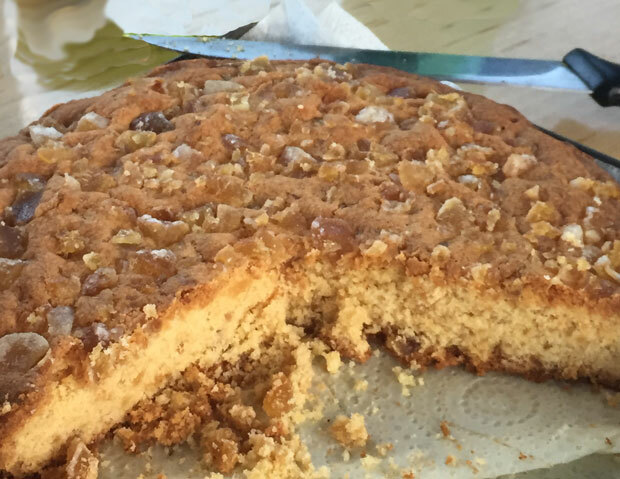 This my family’s recipe for ginger cake. Like most Dutch treats, it’s easy to make. This slice is perfect with coffee and great to serve to visitors. Sift flour, baking powder, salt and sugar into a bowl, then stir in the first batch of the ginger. Add softened butter and mix with a wooden spoon to form a soft dough. Beat in the egg. Press into a greased cake tin and sprinkle remaining ginger over the top. Bake at 180˚C for 40 minutes. In a recent mishap, one of us flung open a car door and clipped a passing cyclist. No injuries, thank the Lord, but we’ve spent a lot of Health & Safety time on safe car door opening behaviour since. Hands-up anyone who hasn’t opened a car door without first checking behind. I’ve had a near-miss giving a man on a bike A Very Big Fright. He yelled at me. Understandably, as he was frightened. I apologised. Then he pursued me along the footpath still yelling. Cyclists know to watch for careless car drivers thrusting their doors wide. 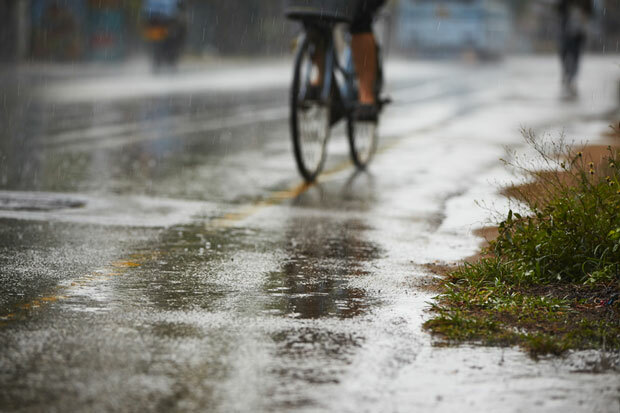 They know cyclist vs car door causes a large proportion of cycling injuries and sometimes, tragically, death. Our research led us to the Netherlands and something known as the “dutch reach”. This is where car drivers and passengers are taught to open their door using the opposite hand to the one nearest the door. The Dutch believe this is so effective that students are taught this method from primary school. The idea is that as you reach to open the door your body is automatically turning towards the rear of the vehicle acting as a reminder to look behind. I think we can trust the Dutch on this one. They’re crazy for cycling, after all. Did you know there are a million more bikes in the Netherlands than there are people (17 million people and 18 million bikes). So go Dutch and share the message. Keep our cyclists safe.